In the third installment of the Indiana Jones franchise (spoiler alert), the guardian of the "holy grail" warned Jones to "choose wisely, as the real grail brings eternal life, the false grail brings death." Jones proves his wise choice by not disintegrating into a pile of dust (unlike the villain, who chose most poorly). We cheered for Jones and his father, who presumably both gained eternal life. But is eternal life really that simple—just find the right cup and drink from it? Actually, in real life it's much simpler for us (though, of course, we can't overstate the amazing effort of God in achieving our salvation—just take a look at Ephesians 1 to get a glimpse of the amazing work He accomplished on our behalf). John’s Gospel is the only book of the Bible specifically addressing non-believers for the purpose of telling them how to gain eternal life (Jn 20:30-31). Other books offer brief descriptions of how people were justified (declared righteous) in God's sight. Genesis 15:6 describes how Abraham believed in God and it was reckoned to Him as righteous; Jonah's prophecy offers the unbelieving Ninevites a stay of judgment pending repentance; Acts 16:31 records Paul's and Silas's response to the jailer who wished to be saved; and there are many, many other descriptive passages. "these have been written so that you may believe that Jesus is the Christ the Son of God; and that believing you may have life in His name" (Jn 20:31). John makes it clear to his readers that if they simply believe, they would have life in His name. But believe what exactly? John's Gospel is clear about that too. "the believing one in Him will not perish but has eternal life." "He who believes in the Son has eternal life..."
These passages and the tremendous weight of evidence they represent help us to understand that eternal life does not come by works, nor by intellectual belief of some general facts, but rather by belief in Him. He is the Christ, the Son of God. Believe in Him, and we have eternal life. 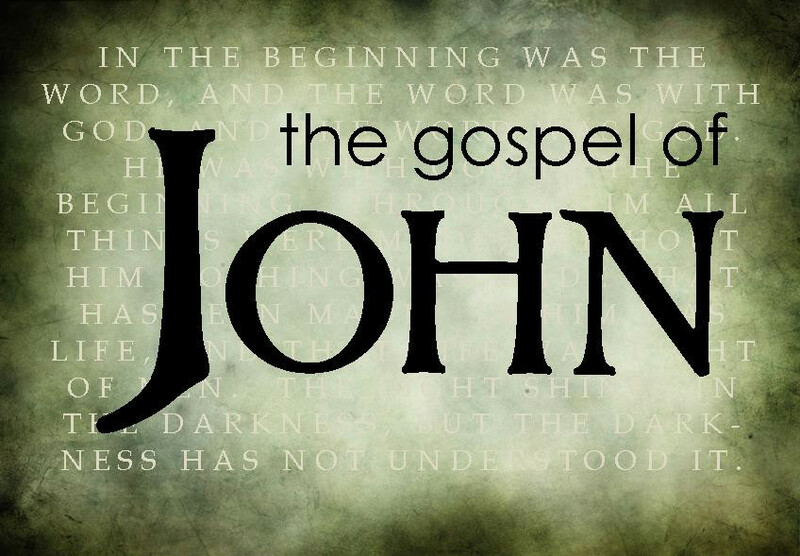 John's Gospel is just that simple. To help us understand what information we need to know in order to believe in Him, Paul describes the good news in 1 Corinthians 15:3-8 as including information about the person of Jesus (that He is the Christ—the God/man Messiah described in the Hebrew prophets) and His work (died to pay for sin, was buried in proof of His death, rose again in proof of His qualification, and appeared to many). In short, believing in Him requires understanding something of who He is and what He did. On this point we must exercise extreme caution. It is tempting to quantify exactly what knowledge of Him is necessary, but in the many Biblical accounts of the gospel being presented and accepted, there is not a uniform set of facts presented (one of the many evidences against lordship salvation). Not every piece of data regarding His identity, for example, is in view every time. I would suggest Paul provides us (in 1 Cor 15) with a very useful model, but a little more or less here and there—as we see in other instances—does not invalidate the presentation. Finally, we should recognize that the moment of belief is just the beginning. While our position is irrevocably determined at that point (we have eternal life, Jn 6:47), our practice has only just begun. After believing in Him, we might read Ephesians 1-3. These chapters help us understand the incredible things God has done for us, and what our new position in Christ really means (including how He saves us from the wrath of God). Once we understand our new position in Christ, Ephesians 4-6 help us understand how God expects us to live and grow. Ephesians 4:1 exhorts us to "walk in a manner worthy of the calling with which you have been called..."
Next, we can read Romans 1-11. These chapters explain in more detail our new position in Christ. Romans 12:1-2 exhorts us to "present your bodies a living and holy sacrifice, acceptable to God, which is your reasonable service of worship." Belief in Him, by His grace (Eph 2:8-10), gives us a new relationship with Him. But we don't stop at being reborn—we want to know Him better, walk with Him, and glorify Him. Jesus explains that the purpose of eternal life is that we might know Him (Jn 17:3). Let's not complicate how the relationship gets started, and let’s not neglect how the relationship grows. The moment of belief is the start of a new life. In light of His great mercies toward us, how will we respond?